I'd like to share my training plan for the first part of this year. There are plenty of sources for free training plans, of course; the one I've used in the past with some success is Ontri.com, but if you search online, you'll find a dozen sites offering a similar, free service. I purchased Triathlete Magazine's Essential Week-by-Week Training Guide by Matt Fitzgerald several years ago. Best $30 I've ever spent on triathlon. I have a few other training books, too: Triathlete's Edge by Marc Evans and The Triathlete's Training Bible by Joe Friel. I base all of my training plans around Fitzgerald's format, modifying based on Evans's and Friel's advice and my own experience. I borrow heavily from Fitzgerald's interval recommendations; the base training plan is his, not mine. I write all my own swim workouts, but derive the substance of main set intervals from Fitzgerald's book. Most training plans follow a 3 week on, 1 week off pattern--that is, you spend every fourth week recovering. I've found that my body works best with a recovery week every third week. So my training plan gives you 2 weeks on, 1 week off. It's a 20-week training plan, but (as you may notice) 20 does not divide evenly by 3. So the first training block is 4 weeks: 3 weeks on, 1 week off. There's a 2-week taper before the half-ironman race. 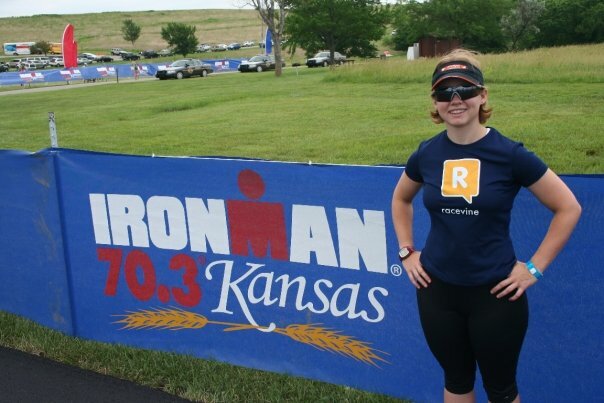 My training begins next Tuesday (Jan. 21); if you want to do Ironman 70.3 Kansas with me, yours should too! Here's the first training cycle; it covers the next four weeks. There are 3 workouts in each discipline each week. S=Swim, K=Kick, I=Individual Medley, P=Pull, so SKIPS means 100 swim, 100 kick, 100 IM, 100 pull, 100 swim. It's my favorite warm-up. I recommend always doing backstroke for cool-down, to try to reverse some of the repetitive stress on the shoulders from so much freestyle. The third sheet in the file has a chart for your heart rate intensities, but it's up to you to determine your training zones; do a quick online search, and you'll find plenty of articles on how to do it. This plan uses time instead of distance to set run and bike volume. If you have any other questions, e-mail me or leave a comment below! Friends are a nice thing to have. I want to immerse myself in triathlon. I'm re-booting my fitness regime. I have big races on the horizon. In 2015, I'll turn 30. Five months before I do, I plan to complete my first Ironman in Zurich, Switzerland. To prepare, I plan to do two half-distance races this year. I feel excited to train and race again. And I want to re-engage in the online triathlon community. The problem is, I don't know how! I used to go to Trifuel frequently, and I've used Ontri, Buckeye Outdoors, and Beginner Triathlete to log my training. But all of those sites seem less popular and less active than they used to be. Most of the triathlete blogs I used to follow haven't been updated since . . . well, since I last updated mine. I feel like Tom Hanks in "Sleepless in Seattle," completely clueless about how to date women in the '90s ("When was the last time you were out there?" "Uh, Jimmy Carter? 1978.") Where do triathletes go to hang out online, now?! Can anyone help me out? Where do you hang out with other triathletes? I haven't trained intensively since my half marathon in 2012. I've done races since then, but I haven't competed; I haven't reached for a PR or chased a podium since then. And, since I've left Genesis, I haven't gotten as much strength and flexibility training. 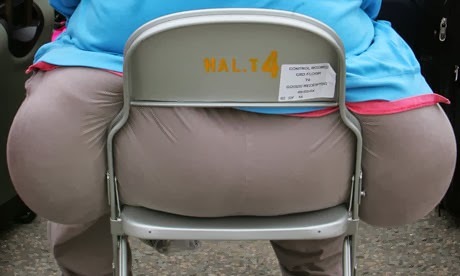 Retrospectively, I don't remember working out that much as a personal trainer. But then, I suppose doing 2-3 reps of 8-10 exercises 4-8 times per day enhanced my fitness more than I realized at the time. All that to say that I'm out of shape. I find it difficult to lift and carry heavy things. My fingers no longer reach my my toes. My pants are tight. If I'm gearing up for a 70.3 in June, I need some preparatory work. To accomplish all that, I put together a yoga routine. It's short; takes less than 20 minutes, and that includes time to lay around and meditate. And, being the generous, loving trainer and coach that I am, I recorded my routine for you, so that you can join me! Download and enjoy! I hope this helps each of us prepare for our next big race!